Love Gardening! 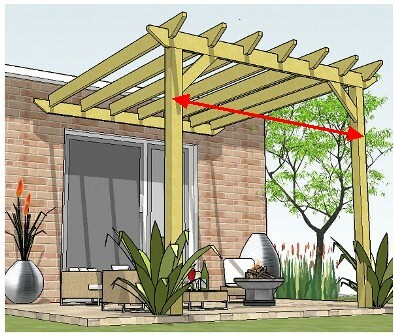 Issue #18: 3 Ways To Build Your Pergola with a Shorter Beam Span! Welcome to all new readers from across the world. Feel free to join in. There are links below. Today, we're going to be looking at a tricky question: one that keeps cropping up time and time again. It's the most frequently asked question of them all. Everyone wants a lo_____ng pergola beam span! We want it......but we can't have it,unfortunately. With no definitive guide, it's sometimes difficult to make informed decisions on the length of the beams supporting the rafters that form the roof. Steve, Frank, Quincy, Jude, Mike and Greg, have all been asking about maximum lengths and sizes required, because they are all adapting the plans to create a larger pergola: Steve's is a corner pergola, Quincy's an hexagonal pergola, and Greg's a traditional rectangular pergola. These larger pergolas, particularly, need some thinking through! Using supports, as decorative features, is one way to go about it. Here we can see the use of sturdy braces, which effectively shorten the span between posts by nearly half, and also add visually to the pergola's design as an interesting feature. I would also add a central post to make doubly sure! 1 Three solutions for shortening the unsupported length between posts. 2 Ideas on how to make your pergola stable, safe and attractive. If you'd like me to cover other topics or have questions of your own, please ask. 50 bonus points for anyone who can spot the mistake in the pictures below! 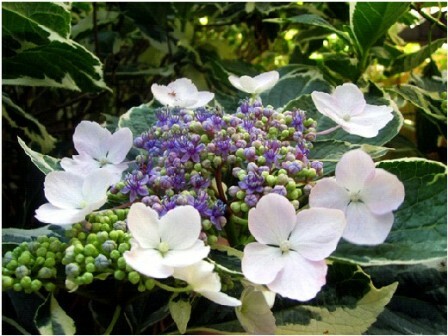 * How to prune your hydrangea for abundant summer flowers. * How to build a stone patio circle. 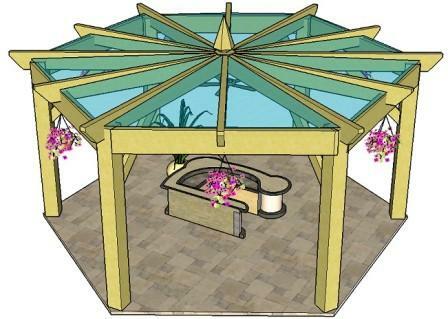 * Modern pergolas and how to integrate them into your garden design. 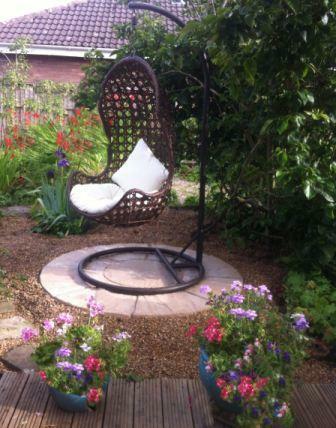 * Contemporary garden accessory ideas. where all the contemporary accessories are created by renowned designers. I have only just come across these, and can see some of them fitting extremely well into a modern design. The 'Lost Parts' mirrors are created by Alik Levy, whose creations can be found in prestigious galleries and museums all around the world. 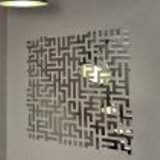 Even though the acrylic mirror is not suitable for outdoors, in direct contact with the elements, it will look fabulous on a sheltered wall under cover, or in a conservatory. I really do have to have one of these! 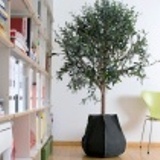 The plants sacks look modern and 'organic' and will fit beautifully in any space indoors, or in a summerhouse in the garden. Very stylish, giving a wonderful contemporary feel. Be sure to check out the new pages and updates here.